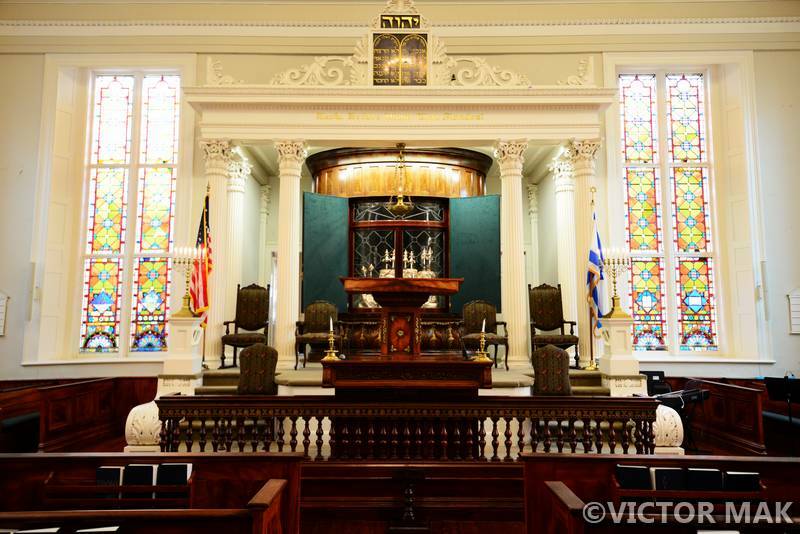 Congregation Kadosh Beth Elohim was founded in 1749 and is the 4th oldest in the nation. 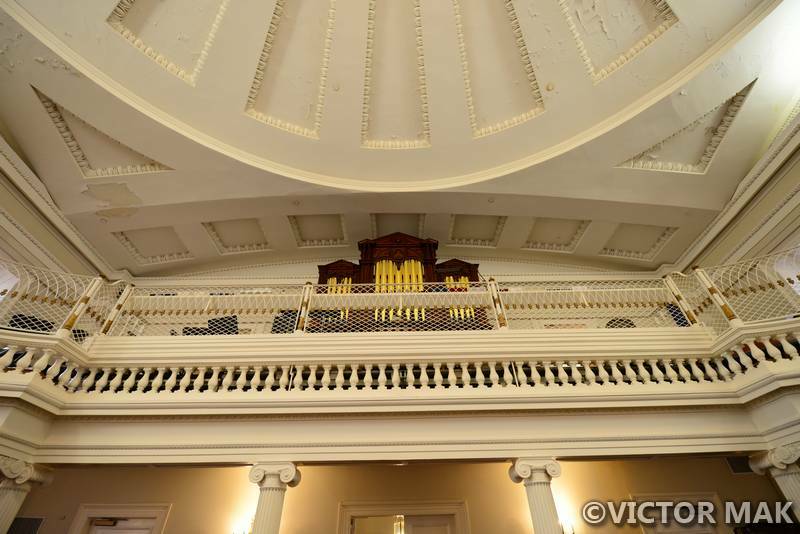 On wiki it says the Greek Revival building is the 2nd oldest in continual use while their pamphlet from the synagogue says it’s the oldest. Sometimes they are considered the place where Reformed Judaism was born when individuals split from the group in the mid 1800s. This new belief system spread and became the dominant belief system of American Jews. More that 90% of American synagogues were Reform by 1880. The current building was built 1840-1841 by a David Lopez. 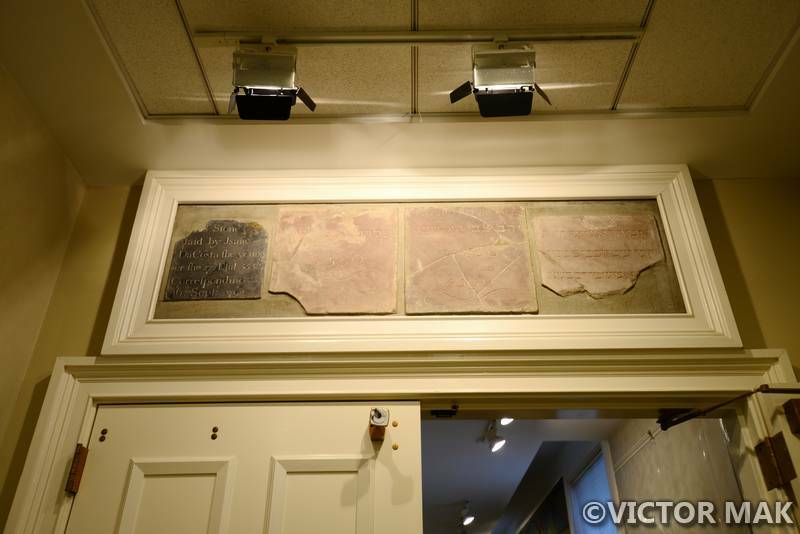 In the foyer are 4 of the original 14 dedication stones from the 1794 temple. The iron fence in front of the temple grounds date back to 1819. 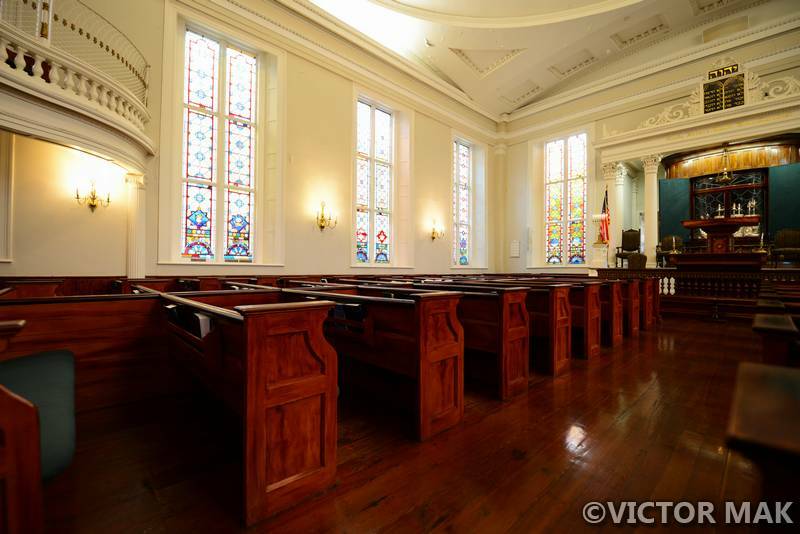 It had a fairly churchy feel like the temple we visited in Savannah,GA. The majority of early Southern Jewish communities were Sephardic from London and the Netherlands seeking religious freedom. They were in London and the Netherlands after Spain and Portugal expulsed them in the late 15th century. 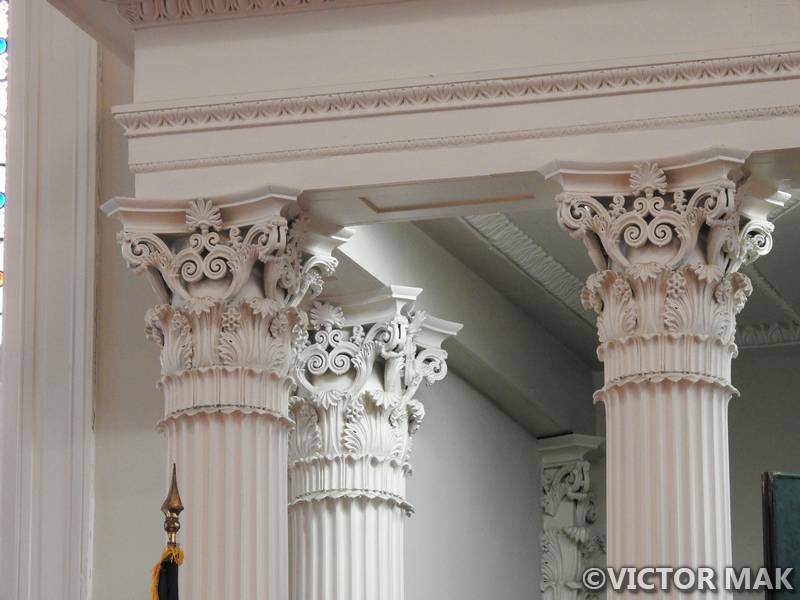 Some of the founders of this congregation migrated north from Georgia after the colony was invaded by Spanish forces. They feared another Inquisition. 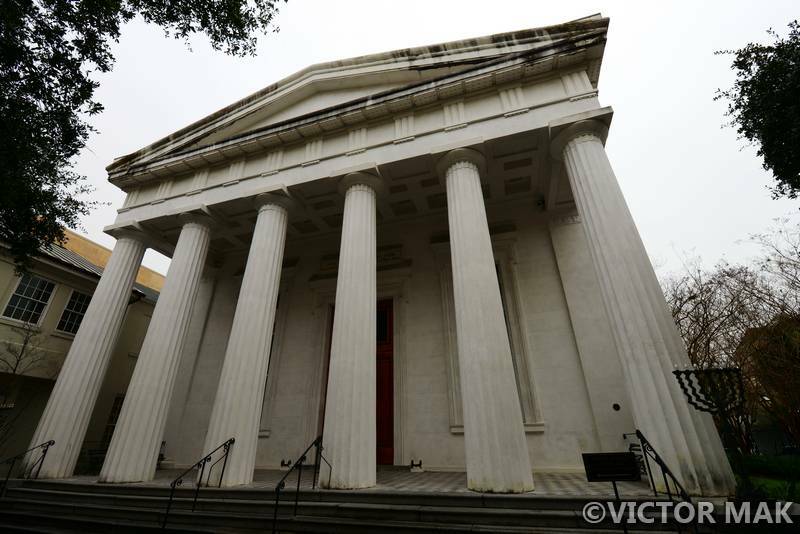 If you are interested in new world Jewish history, the temple in Savannah recommended The First Jews in the New World: The Dramatic Odyssey of the Early Jews into the Western Hemisphere to read. It’s about the inquisition and their eventual migration across the Atlantic looking for a home where they could practice freely. Even in the new world they ended up fleeing the same challenges and persecution as the old world. Volunteer guides offer tours 6 days a week. Posted on February 21, 2016 February 15, 2017 by jebusandandrea	This entry was posted in History, Houses of Worship, Jewish history, North America, Synagogues, USA and tagged History, Jewish history, Kahal Kadoosh Beth Elohim, Photography, SC, South Carolina, Synagogue, Travel, USA. Bookmark the permalink. What a beautiful temple. Buildings these days pale in comparison. Thank you. It was really nice to visit. Wish they still made buildings like these. Really didn’t expect the churchy kind of feel. Haven’t been to many temples either. Pretty neat tour. 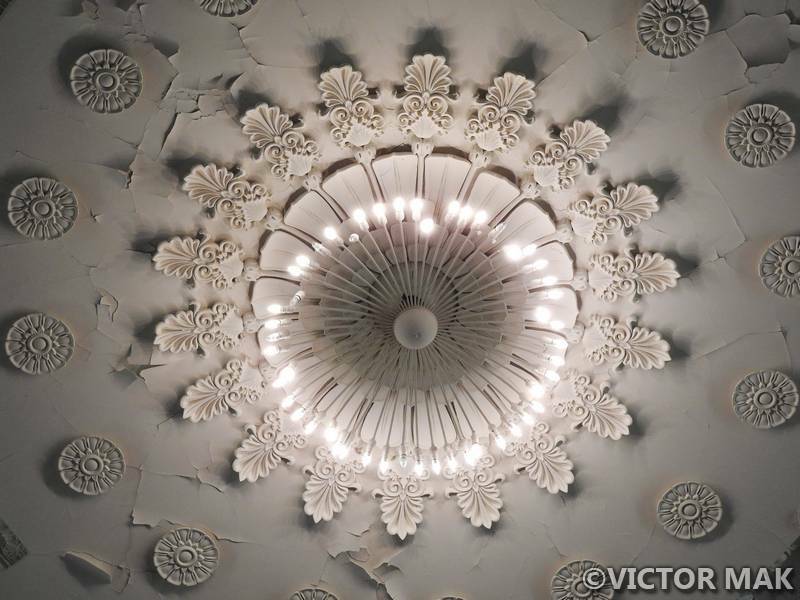 Beautiful photos; interesting reading too. 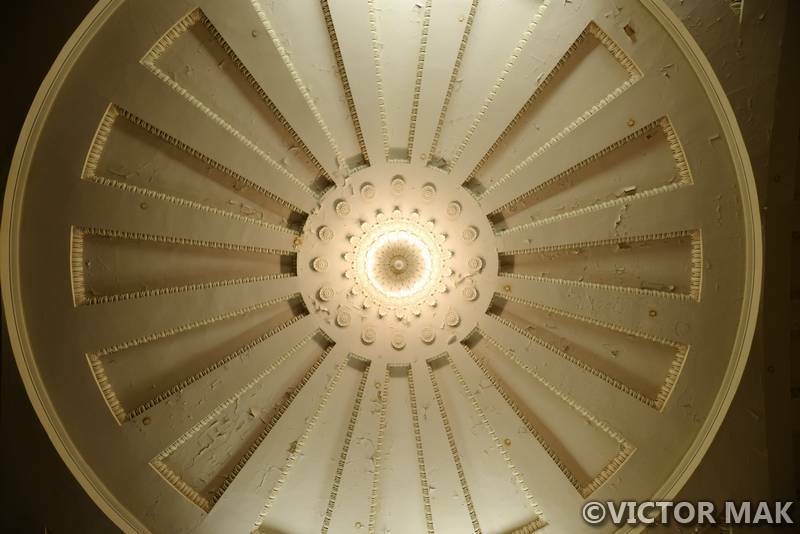 The synagogues in my city were built in the early 1960s and have a very modern, California feel to them. The synagogue in Minnesota that I visited looked older but more like a theater, except with a place for the ark and a large podium where they prayers were said. 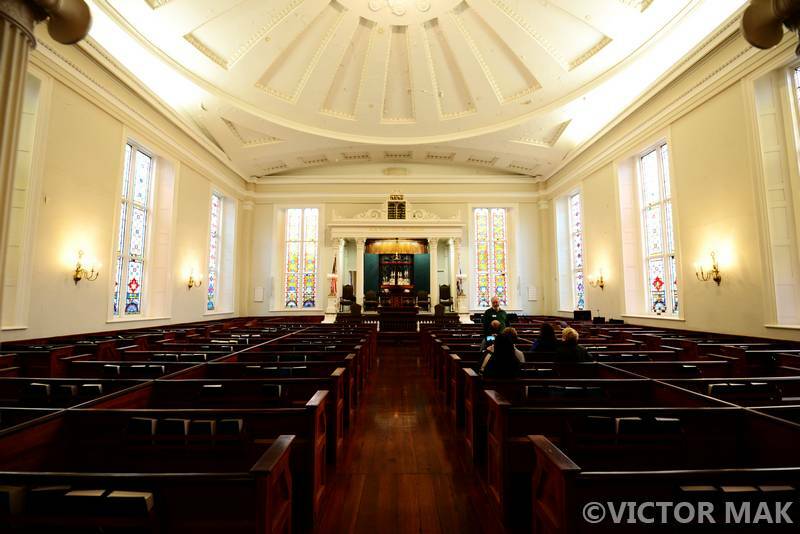 The Charleston synagogue does resemble the interior of a New England church, maybe because the members wanted a building that looked “American.” From what little I know, American Jews in the 19th century were concerned about appearing foreign or “Oriental,” so they adapted mainstream American design and customs, which resulted in the Reform movement. I really enjoy seeing 18th-century buildings—we don’t have many out here—so I’m glad you took pictures of your visit. Charleston is definitely on my bucket list now! We stayed at King Charles Inn. It was the perfect spot. 1 block from Jestine’s (we ate there 3x) and they had really good fried chicken and meatloaf. Around the corner from the inn was the synagogue – no trouble finding it. The guide said that was the building style at the time. End of March I have a tour at a synagogue on the Lower East Side. I have to step up my NY posts, my Philly ones outnumber them! I bet you drive. Charleston is two hours from Savannah so you can do it in one trip! Both are pretty. Savannah has an artsier feel from the art college. We’ve been told if you drive to Savannah from Charleston or vice versa stop at Old Sheldon ruins. It’s church ruins. If you google them the pics look cool. Hoews your cold coming along? Cold is mostly gone, but my sinuses hurt! Someone said our allergy season has started early, but I don’t see any flowers or buds. Maybe it’s mold? Or weeds? I do drive! Native Californian, so it’s inborn, lol. I’m hoping that Google creates a self-driving car for the mass market soon however, since I don’t enjoy it as much as I used to. I have trouble seeing the road in the dark; I hate parallel parking in the city; I have to drive around and around the block to find a space I can just roll into, or stay in the ‘burbs where they have parking lots. GPS on my smartphone makes finding places easier, and I enjoy the convenience of hopping in my car and going wherever I like whenever I want, but the expense of owning a car is huge here. I really like the subways in New York, though my daughter and son-in-law say that I wouldn’t like it so much if I had to take it during rush hour or when there are big events downtown. Points was. Have a general idea now. The oldest Jewish cemetery in Manhattan is at Chatham Sq by St. James Place. Have a few drafts about Doyers St I’ve been tweaking. That’s a fun historic street. Been on a bit of a NY history kick. I still need to take some pics for the posts. Ooh, that’s going to be an interesting post! I liked the movie Gangs of New York, though a historian friend groused that the slums representing Five Points weren’t “slummy enough.” I think the set was built in Italy—nothing of the original neighborhood still stands, I was told. Is that right? I’m going to San Diego next weekend to visit my younger daughter. I want to visit the Mission San Diego de Alcala, the first Spanish mission built in California: the current building dates back only to 1813, which is not very old even by American standards. Still, I’d like to tour the grounds and the sanctuary. With the exception of San Juan Capistrano, I’ve hardly seen any of the old California missions, which are the closest thing we have to the churches in Charleston, Savannah, and New York. I love missions! Post lots of pics! Only been to San Juan Capistrano. Think most of the 5 Points buildings are gone. I know some buildings date back to the late 1800s. Most historic sights are endangered. It’s quite depressing. I use to feel like I was visiting an old friend when I would be crossing the Manhattan bridge headed into Manhattan. Now I feel Like I’m mourning the loss of my beloved island every time I head into the city. I’m in Chinatown weekly. I can’t believe how much has changed in the last 10.5 years. Then again that is a long time. Think I’m on a synagogue kick. Booked a tour end of March at one I’ve been trying to see in NY for a while. Can’t remember the name at the moment. Have a thing for Jewish history. Very surprised how churchy a few of them feel. I don’t know a lot about Jewish history to be honest. And I don’t think I have ever visited a synagogue. Can’t quite figure what got me into it. I like history in general. I remember seeing the Hasidics whenever we would go farther east on the Lower East Side and I would wonder about them. My Dad use to take us for walks and the oldest Jewish cemetery was 3 blocks from where I lived. Think that got my interest. Growing up in Chinatown was very difficult and wasn’t accepted, didn’t have many friends. When I went to middle school uptown most my friends were Jewish. They use to joke that I was a German Jew because I have a very common German middle name and my last name is pronounced ‘Jew’ – it was the first time I ever felt accepted. Think that cemented my connection. Even thought about going to Hebrew school for a bit when I was little. Been pondering my interest in Jewish history since Savannah and this is the only thing I can think of. Never knew we could visit synagogues on tours until we went to the Eldridge St Museum (temple) in NY and haven’t stopped since then. I think it makes sense why you are interested by it !